It's probably not the most exciting subject, but when Nanowrimo hits, I start doing other things besides writing. It helps my brain think. Yesterday, I decided I was going to work on a quilt I've been working on for quite some time. 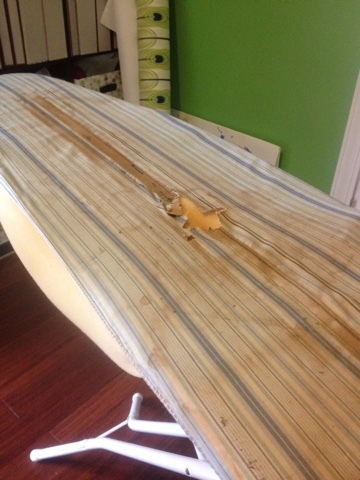 But, I needed to iron some fabric pieces, and my ironing board was in desperate need of some TLC. 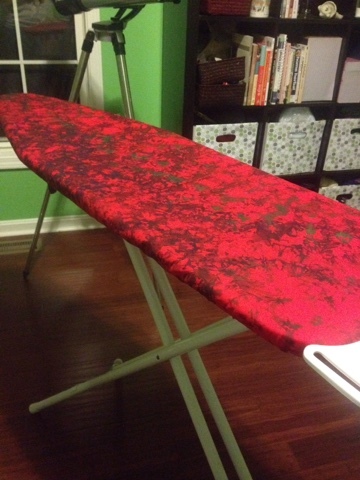 So, instead of working on my quilt, I made myself a new ironing board cover. I used this beautiful fabric Gary brought back from Africa for me. I still have about 5 yards, so I imagine it will show up in bits and pieces in many projects.